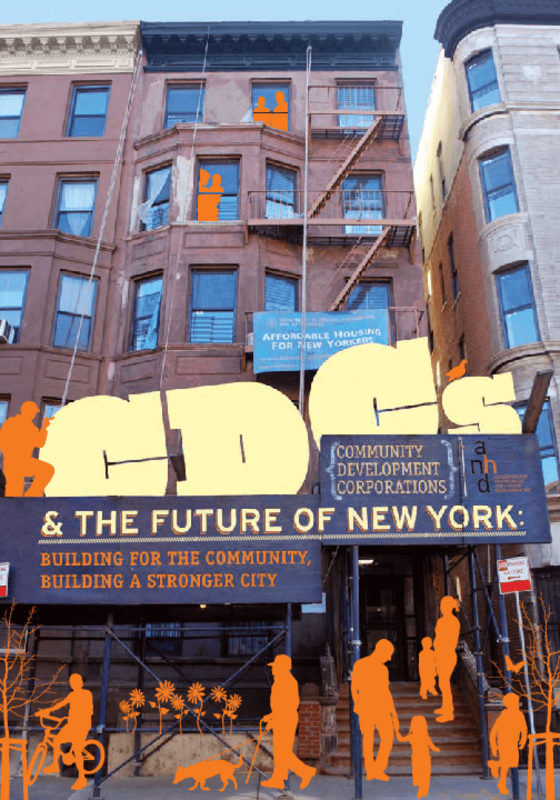 Over the past 20 years, CDCs have been responsible for developing almost 100,000 units of affordable housing throughout the five boroughs. CDC's naturally push against the excesses of the market, countering displacement pressure when the development market is too high, and bringing public and private resources to ensure appropriate development when the market has abandoned the neighborhood. This leads to overall neighborhood stability, regardless of the current market cycle. And unlike many private-sector developers who may look to convert the property to luxury rentals or condos when the affordability restrictions expire, CDCs are committed to permanent affordability. Today we are entering a new housing cycle with new challenges facing our neighborhoods. Instead of burnt out buildings, stalled condos developments dot neighborhoods. Instead of redlined working-class communities, many neighborhoods have been destabilized by predatory lending. We do not know where this cycle will lead us, but already CDCs are in front of the curve -- addressing the foreclosure crisis that is sweeping entire neighborhoods and identifying new opportunities for keeping New York City neighborhoods dynamic and affordable. Copyright 2010 Association for Neighborhood and Housing Development, Inc..